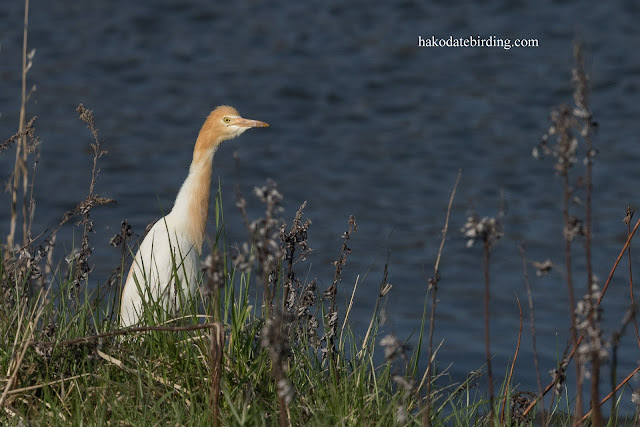 Egrets are not so common in Hokkaido, only Great Egrets (winter visitors) are regular. the other 3 species common further south in Japan are usually spring overshoots and occur after warm weather with southerly winds. I saw all 4 yesterday. 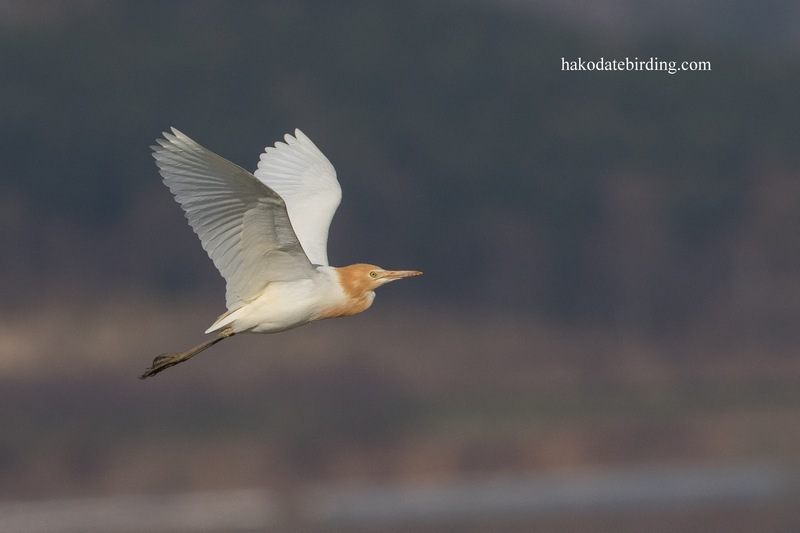 Great Egret at Fukushima, Intermediate Egret near Kikonai and several Little Egret in various locatiosn. Other species around included Brent Goose, Greenshank, an unidentified snipe species, White Winged Scoter (Kikonai), Black Throated Diver and the usual common stuff including lots of Dusky Thrush on the move. 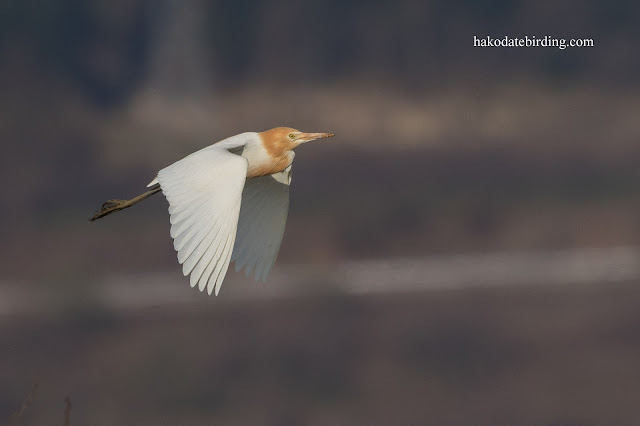 I seehe is sporting his breeding plumage now. Lovely shots Stuart. I'll be seeing lots of those next week but not around here. Yours look especially dark and colourful around the head and neck. I'm going to look it up on Wiki to see if there's a subspecies. 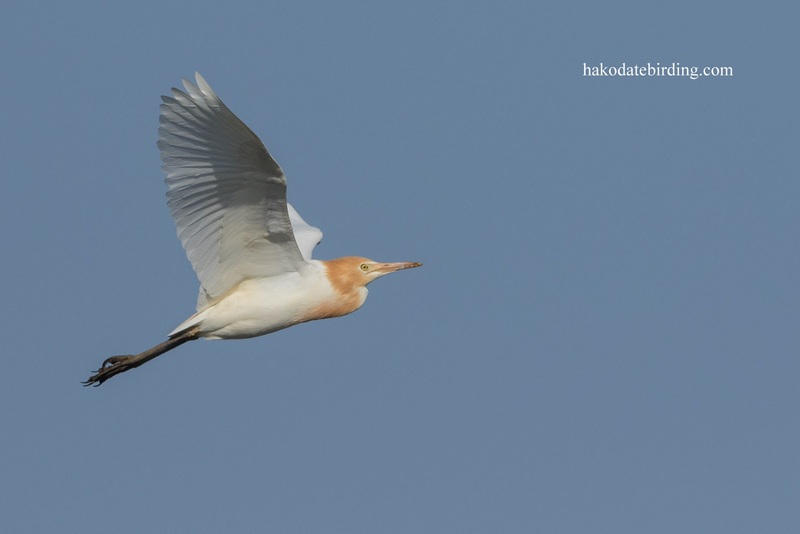 Seems like we now have two species - Western Cattle Egret Bubulcus ibis and Eastern Cattle Egret Bubulcus coromandus. Well Phil my life list goes up by one.....or it would do if I actually kept one properly. Wait a minute, have I actually even seen a Cattle Egret in Europe? I'm not sure.............I've seen them in India and Nepal.